Fred Phelps, reviled (and excommunicated) pastor of Westboro Baptist Church, built his life upon a foundation of hatred: the protests of military funerals, the condemnation of homosexuals, professed gratitude to God for terrorist attacks, and much more. Recent news reports of Fred Phelps' death have again brought his name and face to worldwide attention, prompted by a public statement from his own son, Nathan, who escaped Wesboro and has become a champion of human rights in the face of his father's hatred. 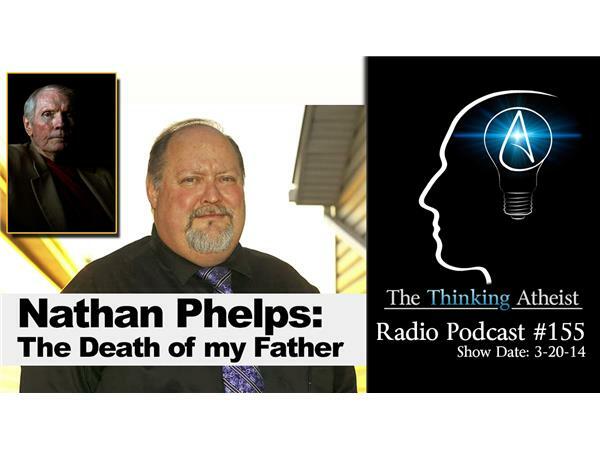 In this podcast, we talk to Nathen Phelps. About his father. About his father's death. About the celebratory public response. About the Westboro legacy. And about the often conflicted feelings of a father's son at a time when he is denied access, or should he choose it, the opportunity to say "goodbye." Join us for a compelling discussion.